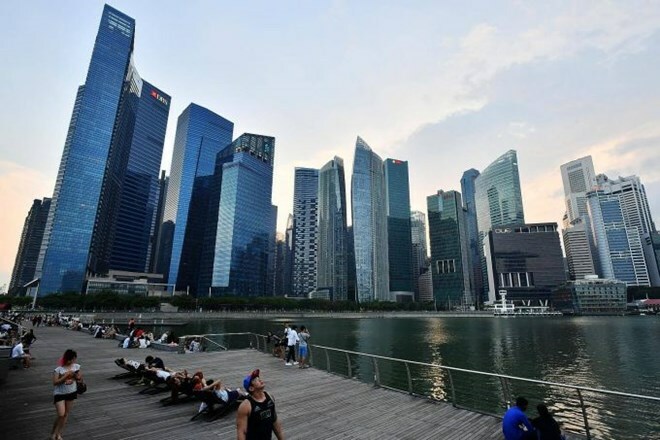 Singapore (VNA) – The Ministry of Trade and Industry (MTI) of Singapore said on November 23 that it decided to adjust the country’s economic forecast this year to 3-3.5 percent from an earlier prediction of 2-3 percent. In the latest economic survey, the Singapore economy grew by 5.2 percent year on year in Q3 2017. This is faster than the preceding growth of 2.9 percent in the previous quarter and the best showing since the economy grew 5.4 percent in the fourth quarter of 2013. On a quarter-on-quarter seasonally adjusted basis, the country’s economy expanded by 8.8 percent, accelerating from 2.2 percent in the second quarter. Manufacturing grew by 18.4 percent on year during the quarter, up from the previous quarter's 8.4 percent expansion. Services expanded by 3 percent compared to the previous quarter, except for housing and catering sectors. Meanwhile, the construction sector decreased by 7.6 percent on year, extending the second quarter's on-year decline of 9.1 percent. The MTI said that global growth is expected to pick up marginally on the back of stronger economic growth in the US and some emerging markets and developing economies. However, growth in several of Singapore’s key external demand markets such as China and the Eurozone is projected to ease.